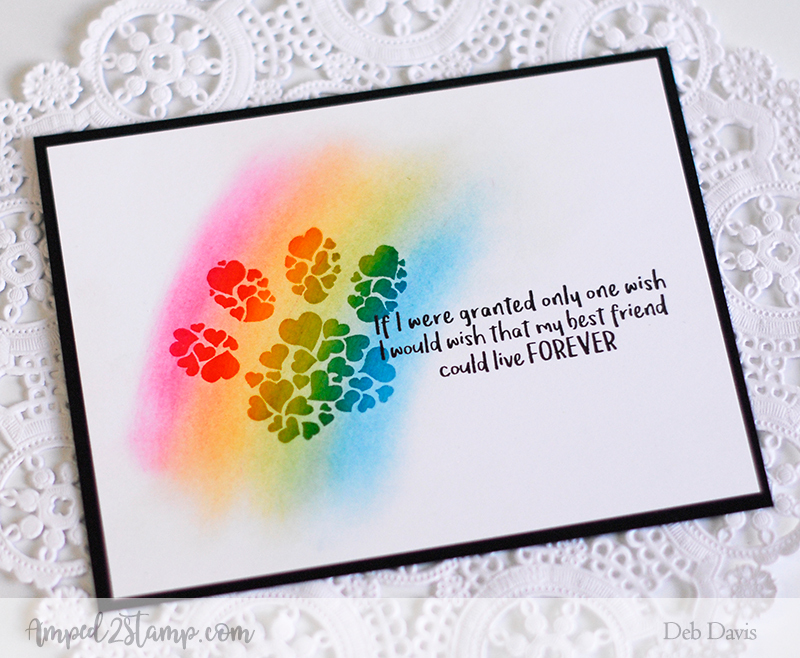 This is a card I designed for a make-n-take at the Whimsy Retreat last weekend. 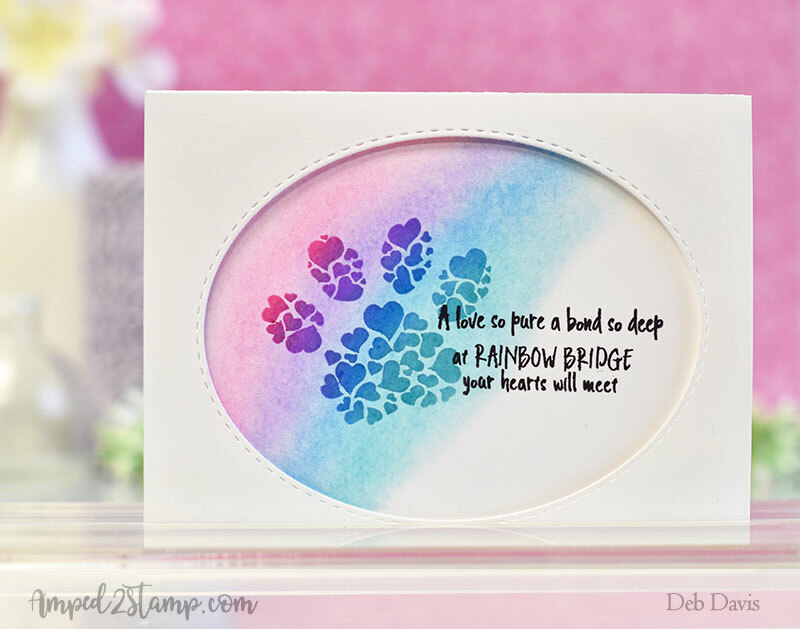 I combined the Unconditional Love stamp set with the NEW An Unbreakable Bond set. The paw is from the Unconditional Love set and the sentiment is from the An Unbreakable Bond set. 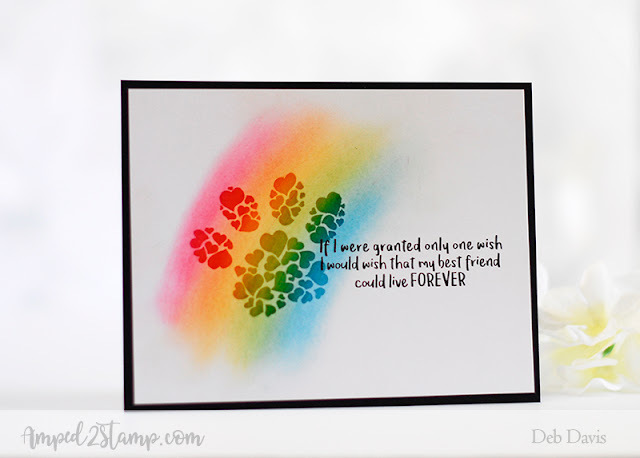 the technique is super easy, just stamp your image (solid images work best) with Versamark ink then swipe on pastel chalk with a cotton ball and the colors pop! For the lighter pastel card I also used our new Stitched Oval dies, I love this set of ovals they are each just the right size to accommodate so many of our Whimsy images and they have stitching on the oval itself and on the negative portion too. 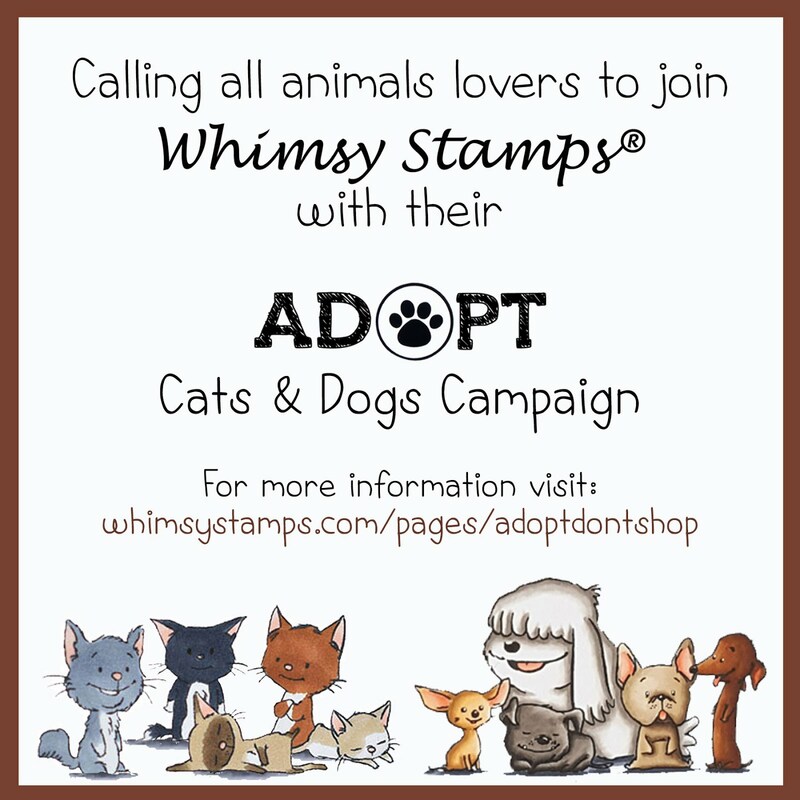 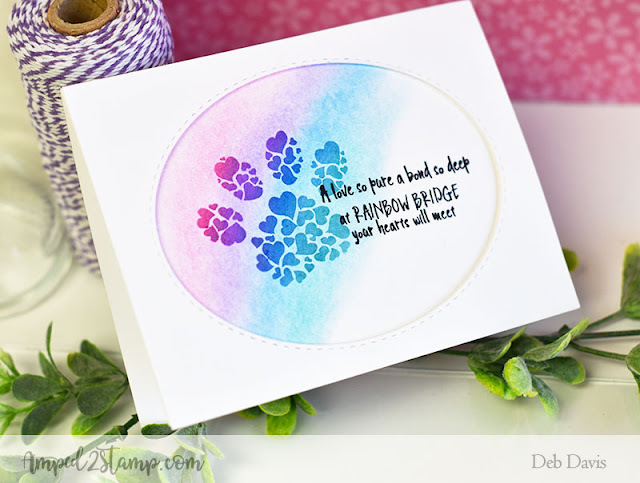 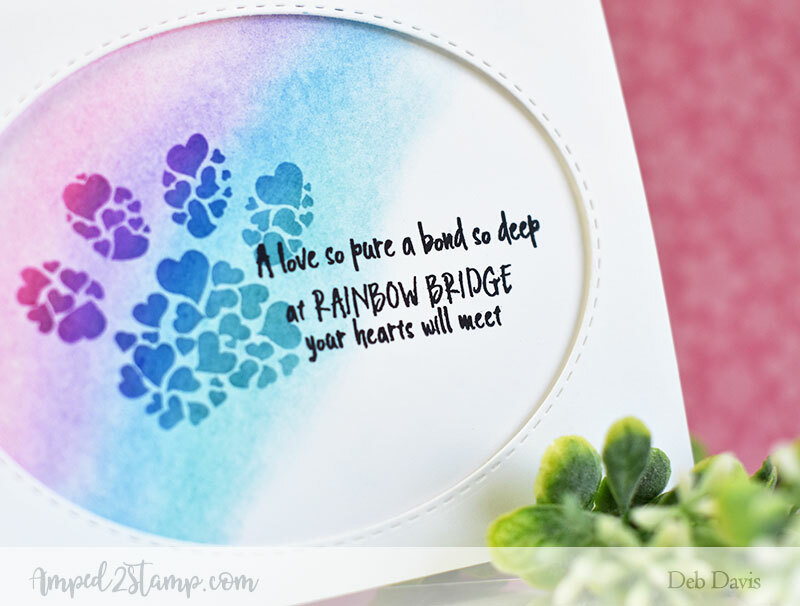 All of the Rainbow Bridge Collection sets can be combined with one another so you have countless options with for all of your animal lover cards.